Atlantic Coast Adult Men's Cruiser Beach Bicycle: Men's Style Cantilever frame (17.5') with 26 x 2.125 wheels. Color Choice (Black/beige two tone, Process Blue/tan two tone, Process blue). Please specify below when ordering. Note: Atlantic Coast Cruisers are imported bicycles. 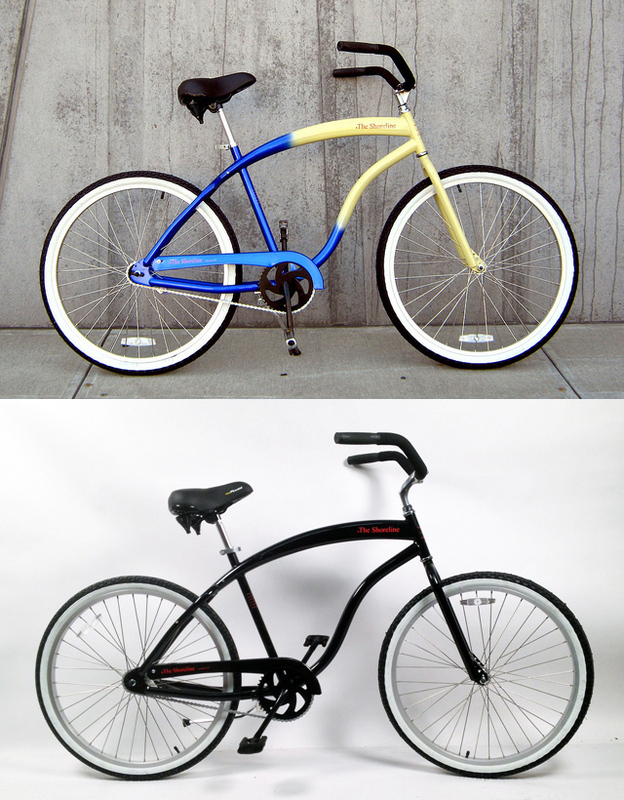 Frame Description: Curved top bar for classic Beach Cruiser with oversized ovalized tubing, . 19"
Atlantic Coast Cruisers come as is, no modifications. There are no options to select for this model. Please disregard green text below.